Christmas in Hong Kong 2018 is fantastic and full of joy. Below are the Top 10 Hong Kong Christmas 2018 events for you including Hong Kong Winterfest 2018 and Hong Kong Christmas Market 2018. 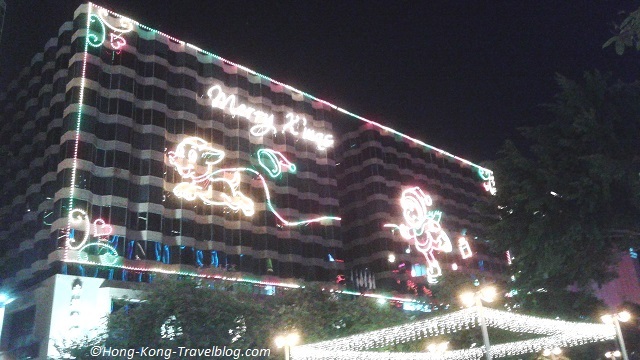 Hong Kong Winterfest is now called Hong Kong Pulse Light Festival which consists of a series of Christmas events. They are the Statue Square Christmas Tree, International Light Art Display and the winter edition of A Symphony of Lights. Almost every year, a giant Christmas tree will be placed at the Statue Square. Tourists and people from all walks of life will crowd the square to feel the festive cheer. Selected light art pieces from around the world will be showcased at our harbour front to make it a special Christmas. These light art installations are from Hong Kong, Belgium, France, Hungary, India, Israel, Italy, Japan, The Netherlands, Singapore and the USA. Most of them are interactive. The 25-metre-tall XTree will be an eye-catching one. The winter edition of this multimedia show will have additional lighting and pyrotechnic effects on some nights. Viewing points: Both sides of the Victoria Habour such as Hong Kong Cultural Centre in Tsim Sha Tsui, Golden Bauhinia Square in Wan Chai and a cruise tour on the harbour. 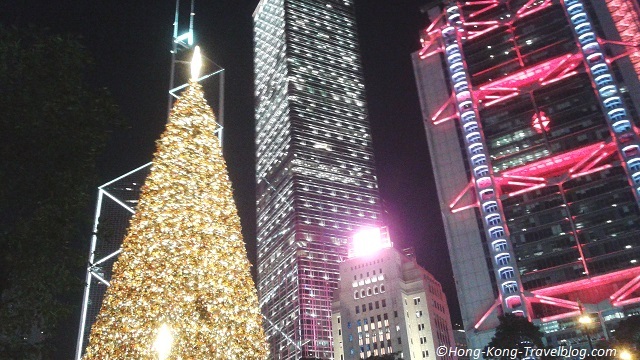 This year, the Spirit of Christmas light scheme from London’s Regent Street is coming to Hong Kong. Regent Street was the first street in central London to display festive lighting and decorations as early as in 1954. It goes overseas for the first time this Christmas and partners with Lee Tung Avenue in Wan Chai to spread the glittering tradition. Moreover, there will be Dreamy Snowy Moments, Christmas Charity Sale and Christmas Parade etc. The Tsim Sha Tsui East festive illumination has been one of the most exciting and traditional Christmas celebrations in Hong Kong since the 1980s. A number of buildings in the area are ‘dressed up’ to warm millions of locals and tourists. The theme of this year is ‘Love and Care’. Meet the giant Yule Goat – a Christmas symbol in Scandinavia, and Finnish elves at Stanley Christmas market. You can find the elves in a 7-meter-high mysterious mushroom-shaped elf house and play interactive games with them. With over 100 booths offering a wide variety of Finnish gifts and delicacies as well as locally made Finnish handcrafts, you can immerse yourself in the Finnish festive ambience. If you have pets, you can also bring them to Hong Kong’s first seaside Pets Christmas Market located at Murray House. As usual, the long-awaited Great European Carnival Hong Kong will take place at Central Harbourfront this year. Come and enjoy some rides, games, food, attractions and entertainment by our iconic skyline. This traditional Christmas ballet with a score by Tchaikovsky will be choreographed by a renowned Australian Terence Kohler with live music by the Hong Kong Sinfonietta. This annual food fair is a paradise for foodies as it gathers renowned local brands and food from other places like Japan, Korea, Taiwan, South East Asia and more. There are Luxurious Food Zone, Daily Essentials Zone, and Healthy Green and Vegetarian Food Zone for you to explore. 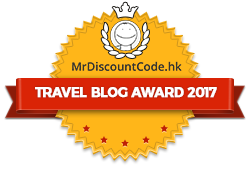 Visitors can also go to the concurrent 16th Hong Kong Mega Showcase. How to get there: MTR Wan Chai Station Exit A5, walk along the footbridge of O’Brien Road, pass through Central Plaza to get there. 15-minute walk. Ticketing stops 45 minutes and admission stops 15 minutes prior to daily closing time respectively. It is one of the largest outdoor fair in Hong Kong. Hong Kong Brands and Products Expo features the election of Miss Hong Kong Brands and Products Expo, You can find famous brands and quality products as well as yummy local food such as Hong Kong street food! Ticketing and admission stop 30 minutes prior to daily closing time, and stop 1 hour prior to the closing time on the last day. Have a wonderful Christmas in Hong Kong 2018. Please feel free to leave us comments or contact us if you have any questions. Thank you for reading this post. Please like us on Facebook and share our post with your family and friends! This post contains an affiliate link, which means, at no additional cost to you, this blog may receive a small commission if you decide to make a purchase through the link. Your support helps us run this blog better. Thank you in advance. However, there is no obligation to buy through the link. You can still enjoy our content for free.